With 660+ levels and 11 mind-bending variations, Sudoku Quest is the most unique Free Sudoku game for Android devices, Apple iPhone, Apple iPad and Amazon Kindle out there! Embark on a quest to explore mysterious islands to unite a shattered kingdom. Defeat the evil sorcerer and fulfill your destiny to become a Sudoku Champion! More than 10,000 Free Sudoku puzzles spread over 600+ levels. A new puzzle every time you retry. Whether you're a beginner or an expert, you'll love Sudoku Quest. 4x4, 6x6, 8x8, 9x9, 10x10, 12x12, Evil Sudoku, Squiggly Sudoku, Killer (Samurai) Overlapping Sudoku etc. Amazing powerups that help you become a better Sudoku player. Hint - Solves one random blank or empty cell. Magic Eye - Helps you concentrate on one number. Magic Hint - Fills one cell in all blocks. Eight fantasy worlds to conquer. Helpful tips and tactics to make you a Sudoku expert. Rating system to help you improve your results. Play on all your devices without losing progress. Simple interface with intuitive touch controls. Unlimited undo and delete options. Challenge yourself to complete achievements. Play and exchange gifts with friends. Engaging story, colorful characters and charming music. Optimized for both mobile phones and tablets. So why wait Sudoku lovers? Download our Free Sudoku App now! You will never see Sudoku in the same way again! 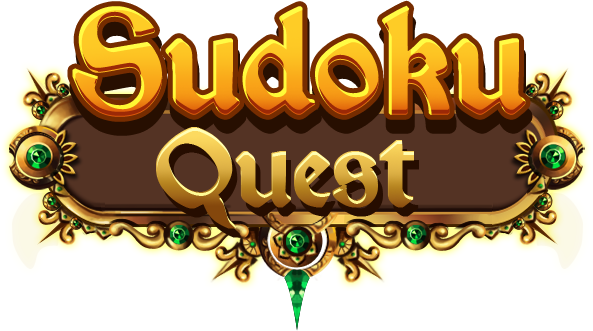 Embark on a journey of a lifetime and start your Sudoku Quest, Play Now! Download the most fun Mahjong game today! Play 600+ Challenging and Addictive levels with increasing difficulty! Explore enchanting Fantasy lands and beautifully designed Mahjong Layouts!